Richard Bullock is out, and Frank Leonard is in as the new chair of the Agricultural Land Commission. Richard Bullock is out and Frank Leonard is in as the new chair of the Agricultural Land Commission. Bullock, a Kelowna orchardist who served as the ALC's chair for five years, was fired seven months before his term was up. He alleges he was fired by the province because they wanted him out of the way while they implement changes to how agricultural land is preserved. "The [new] regulations are going to be proclaimed very soon, I would assume, and getting me out of the way was probably strategically, from their point of view, and a political point of view, the right thing to do," Bullock said. 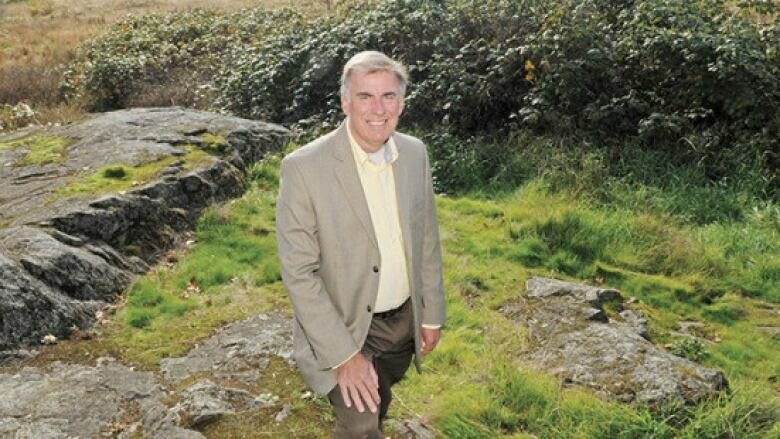 Radio West host Rebecca Zandbergen spoke to Frank Leonard, former longtime Mayor of Saanich, about his new role as chair of the ALC. Why do you think you were selected for this job? Certainly they were comfortable with my 28 years in office of making land-use decisions. About 20 per cent of our municipality is in the Agricultural Land Reserve so I have experience with land-use decisions of all sorts. Have you been a farmer? No. I know some of Mr Bullock's predecessors were not farmers. We have all had different experiences coming into this position. I'm sure we will be judged by what we do, not what we did before we took the position. Does it leave you at a disadvantage not to have been in that trade to really understand what the farmers are worried about? When I did the farm assessment review panel, I held hearings all over B.C and talked to ranchers and farmers and they weren't shy about letting me know about how they felt about things. How will you ensure farmland in B.C. is protected? The best way for them to be preserved is being financially viable. Many times I hear from owners of farmland that they feel they are carrying a burden for the rest of society, that they can't make a living off of it, they have to do other things in their lives to almost moonlight as a farmer. If it is economically viable, then the pressure on trying to take it out of the ALR is taken away in my view. That may be naive or idealistic but it will be part of my guiding principles. You did run for the Liberals in the 90s. How much do you think your political views intersect with your ability to run the commission? Most of the people in the government today don't know I ran years ago. In politics, 19 years is almost four generations. I haven't been given any instructions, there was no expectations given to me. The political debate is not where I'll be, it's making it work is my role.